If you are seeking designer style matched with real substance for your dining experiences, then the choice of superb European furniture we have gathered here is sure to both delight you and thoroughly impress your guests. 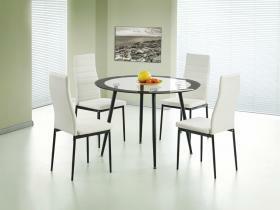 You might decide on that modern, clean glass dining table look for your home. Perhaps you might like it matched with a stunning stainless steel base. If you love the traditional yet always up-to-date look and touch of quality natural oak tables, then you’ll soon immerse yourself in the wealth of choices you’ll find on these pages. You might even like the idea of matching them with simple oak benches for a relaxed ambience. The same possibility is also offered in stunning chrome finishes. Of course, the numbers around your dining table might vary greatly, from an intimate meal for two to a family supper. Then there will be those dinner party or family celebration occasions to cope with. 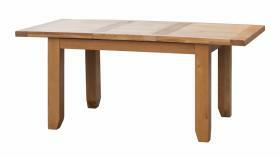 The answer is surely to choose from our many extending oak or glass tables. 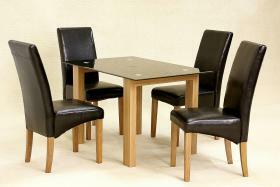 Our dining table sets also provide a choice of between two and eight chairs. Where space might be limited, or you like the inclusive and intimate feel, then our choice of circular dining tables might well be just perfect for you. 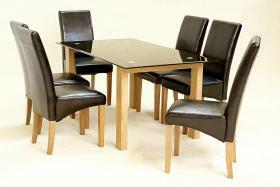 We offer a huge range of chairs to match your dining table style. 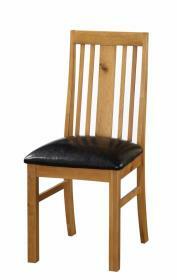 You might choose the truly modern PU chrome or firm plastic chairs, solid oak with friendly seat padding, or any of our many traditional or innovative seat styles. 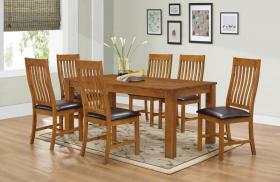 This is just a summary of our selection of hundreds of oak, glass and other highest quality dining tables and chairs. A choice matched only by the superb value we offer our customers. Browse for yourself right now; make your choice and place your order – or send us an email with any questions about our b5furniture products or delivery services.